Oil prices didn’t manage to extend gains on Tuesday as markets still doubt an OPEC output freeze. • U.S. gasoline prices in the week before Labor Day averaged just $2.24 per gallon, the lowest level in 12 years. • Gasoline prices are up 51 cents per gallon since the low point reached in February at $1.72 per gallon. • The West Coast pays the most for its gas – $2.59 per gallon just before Labor Day – and the Gulf Coast pays the least at $2.01 per gallon. • Gasoline prices tend to decline a bit heading into colder months as winter fuel blends are less expensive and demand softens, but of course, crude oil prices will largely dictate which way gasoline prices are heading. • EOG Resources (NYSE: EOG) has agreed to purchase Yates Petroleum for $2.5 billion. The cash and stock deal will give EOG assets in the Permian and Powder River Basin. • Schlumberger (NYSE: SLB) continues to cut workers and scale back its presence in Venezuela. The actions follow up planned moves announced earlier this year. The moves could have a negative impact on Venezuela’s oil production in Maracaibo Lake and the heavy oil in the Orinoco Belt. • Saudi Aramco and its U.S.-based refining joint venture Motiva Enterprises could purchase a Houston refinery from LyondellBasell Industries, with an announcement coming as early as this week. The 263,000 barrel-per-day refinery is valued at $1.5 billion. 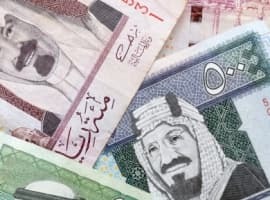 The main news at the start of this week was the announcement from Russia and Saudi Arabia that they would cooperate to stabilize the oil markets. On the sidelines of the G20 summit in China, Russia and Saudi Arabia said that they would setup a “working group” to advance cooperation on reducing volatility in the oil markets. The accord raised some new questions even as the two countries promised closer coordination. They did not explicitly state that they would support a production freeze in Algeria in a few weeks, although there have been signals from both sides that they would be pleased with such an outcome. Oil prices rocketed upwards in the early hours on Monday, surging more than 5 percent. But oil prices retreated after the oil ministers from both countries failed to clarify the significance of their cooperation. Russia’s oil minister appeared more willing to back a freeze deal, but his Saudi counterpart seemed to suggest that a freeze is not necessary. 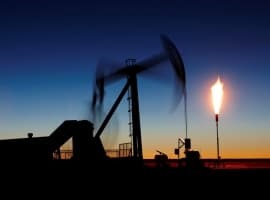 Even as the promise of closer cooperation raises the chances that OPEC and Russia could reach a production freeze deal at the end of the month, oil prices fell during midday trading on Tuesday after the markets continued to doubt the significance of the Russian-Saudi announcement. Earthquake in Oklahoma suspected to be linked to oil drilling. A large 5.6-magnitude earthquake struck Oklahoma over the weekend, a magnitude that is tied for the strongest quake to ever hit the state. No major injuries were reported, but the U.S. Geological Survey is investigating whether or not the event can be definitively linked to the use of disposal wells. Oklahoma has been dealing with an upsurge in seismic activity in recent years, a trend that is thought to be instigated by the proliferation of wastewater disposal wells. In 2005, Oklahoma only had three earthquakes with a magnitude of 2.5 or greater. By 2015, that figure exploded to 2,500. In response to the quake this past weekend, state regulators ordered the shutdown of 37 disposal wells. U.S. natural gas production declines. Four consecutive months of declining natural gas production raises the prospect of a much tighter market than previously anticipated. While gas inventories are still at a record high for this time of year, they have been rising much slower than expected and even declining at times this summer. As the WSJ notes, one extremely cold winter could erase the supply surplus and push up natural gas prices. Higher natural gas prices would affect an array of industries, including power generation, petrochemical production, and other industries that use gas as an input. Iraq puts out well fires. Iraqi government forces captured territory in the Qayyara region last month from the Islamic State, and continue to clean up some of the fires set by the militant organization. 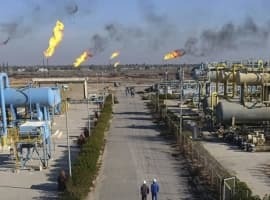 As the Islamic State fled the area, they set fire to oil infrastructure. Mexico’s offshore terms might be deterring investment. Mexico is in the midst of an historic opening of its energy industry, but given that the state-owned Pemex still retains a lot of control and decision-making, some oil majors remain hesitant to jump in, according to Bloomberg. Operators also will be forced to take on a lot of risk, another factor keeping away some companies. An upcoming December auction for attractive acreage in the Gulf of Mexico has been met with tepid interest. Mexico believes that it has 10 billion barrels of oil reserves in the Perdido Belt, located just a dozen miles away from significant drilling in U.S. waters. Texas adds new oil jobs. In July, Texas recorded a net positive for employment in the oil industry, adding about 100 jobs, the first gain since January 2015. That comes after the industry lost about 102,000 jobs since the beginning of 2015. The positive result does not necessarily suggest that employment will come surging back, but it could be a sign that the market is turning. The Permian Basin has emerged as the top location for shale drilling in the country, and oil companies are rerouting a lot of their personnel and capital away from less desirable locations, pouring resources into the West Texas shale basin. Frac sand set to surge. Oil and gas companies using hydraulic fracturing are expected to continue to ramp up their use of frac sand in their drilling operations. According to Tudor Pickering Holt, drillers have stepped up sand use in order to make wells more productive, rising from 3 million pounds per well in 2013 to 5 million pounds per well in 2014, to 8 million pounds per well this year. That should continue to rise to about 11 million pounds per well in the near future as drilling picks up pace. On the high end, some producers are even using 15 to 20 million pounds per well in the Permian, and 30 to 50 million pounds per well in the Haynesville. Tudor Pickering Holt says that frac sand miners, many of which are found in Wisconsin, should benefit from the trend.